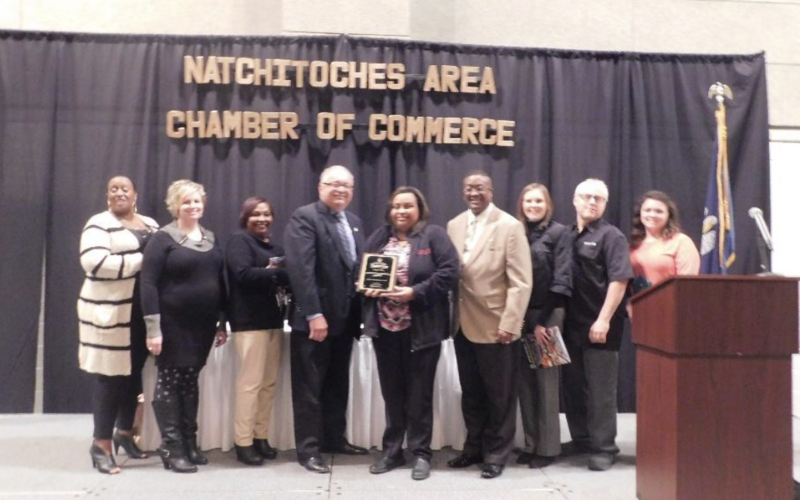 The Natchitoches business community gathered at the Natchitoches Events Center to honor outstanding local businesses as the annual Natchitoches Area Chamber of Commerce held its annual Awards Dinner. Outpatient Medical Center, Inc. was nominated in two categories: Medium Sized Business of the Year and Non-Profit Business of the Year. OMC, Inc. came in a close second to Ivan Smith Furniture in the Medium Sized Business category. 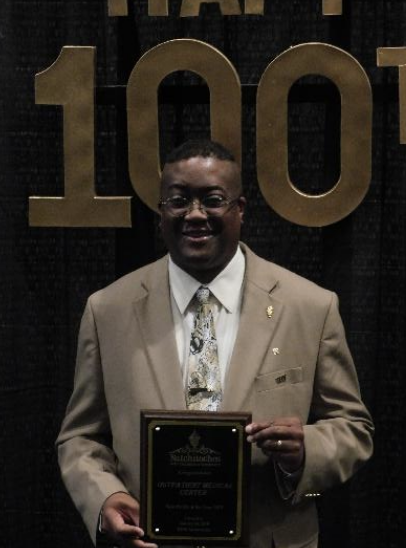 However, OMC, Inc. was awarded Non-Profit of the Year. 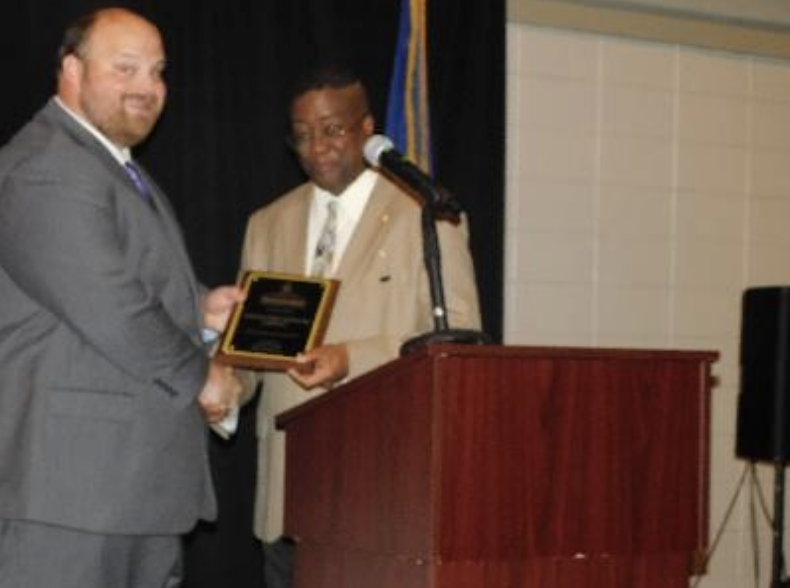 Josh Manuel, who presented the award stated OMC was recognized for serving the underserved in the community by providing quality patient care and education. The OMC, Inc. team left to right: Left to Right: Ms. Cynthia Parker, Director Black Women’s Health Imperative, Mrs. Jennifer Walters, Ms. Ruby Mitchell, Billing, Coding, and Patient Access Supervisor, Mr. Thomas Roque, Vice President, Board of Directors, Ms. Nicole Roberson, Site Director, Mr. Carl I. Walters II, CEO, Ms. Mary Katherine Lancaster, FNP, DR. Cliff Davis, Chief Dental Officer, and Ms. Brittany Procell, FNP. Carl Walters accepting Non-Profit of the Year Award from Josh Manuel.